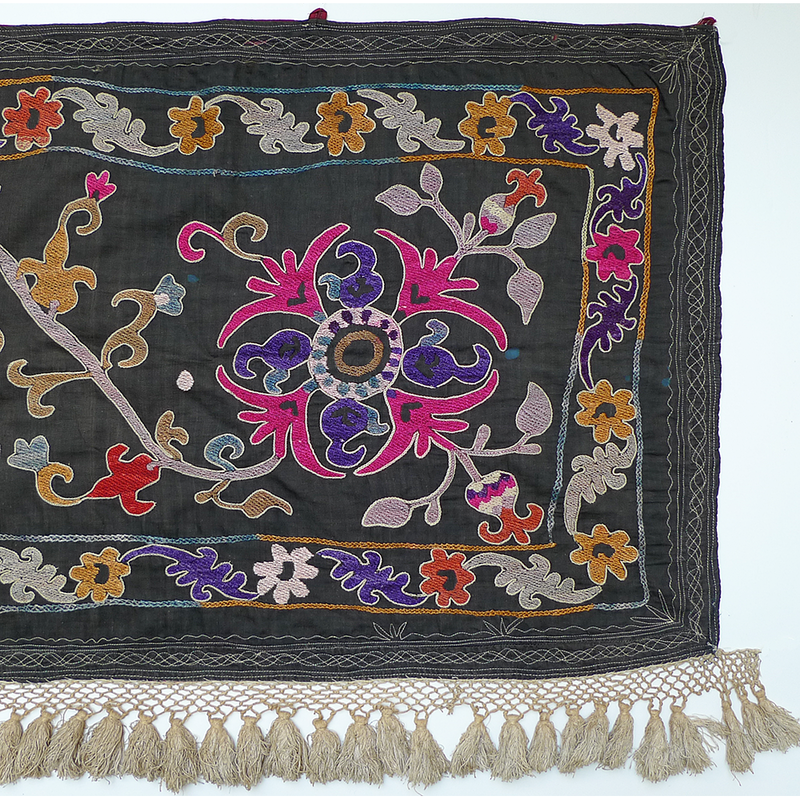 This piece, called a “zardevor” or a “dorpech”, was made to hang just below the ceiling of an important room and served as a sort of frieze along one or more walls. 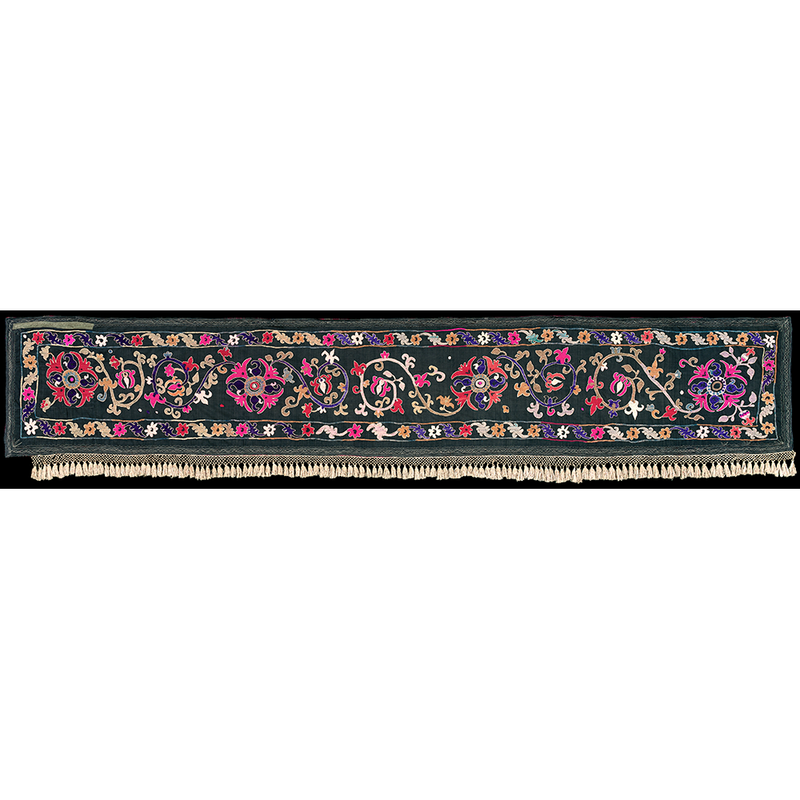 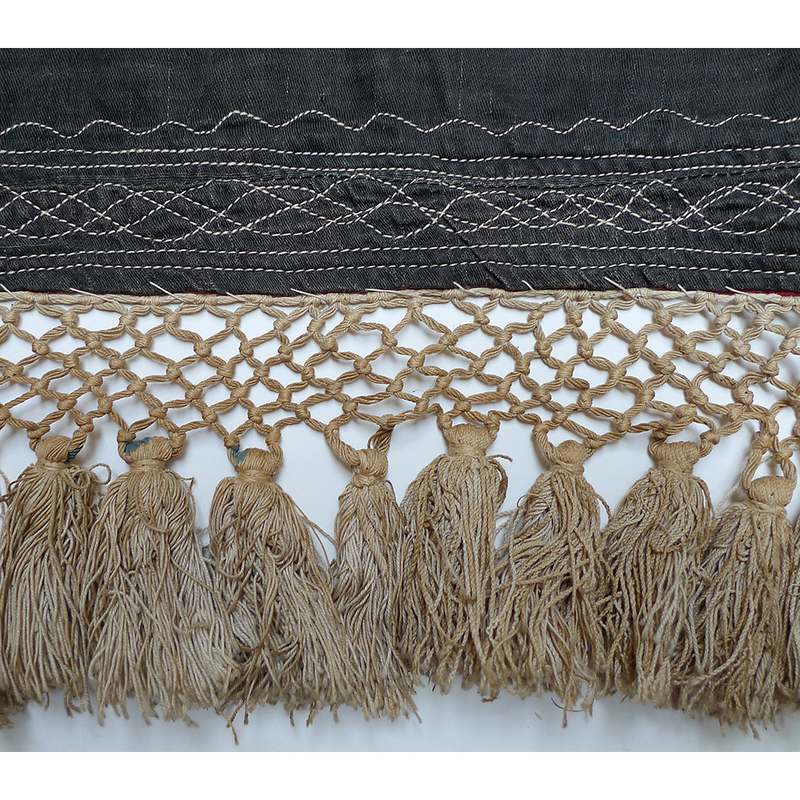 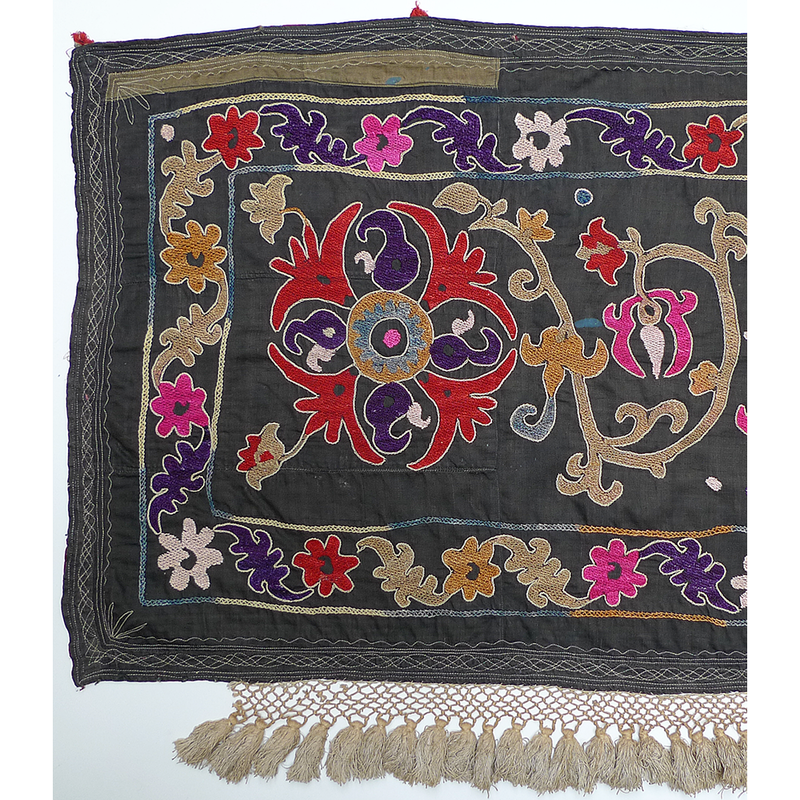 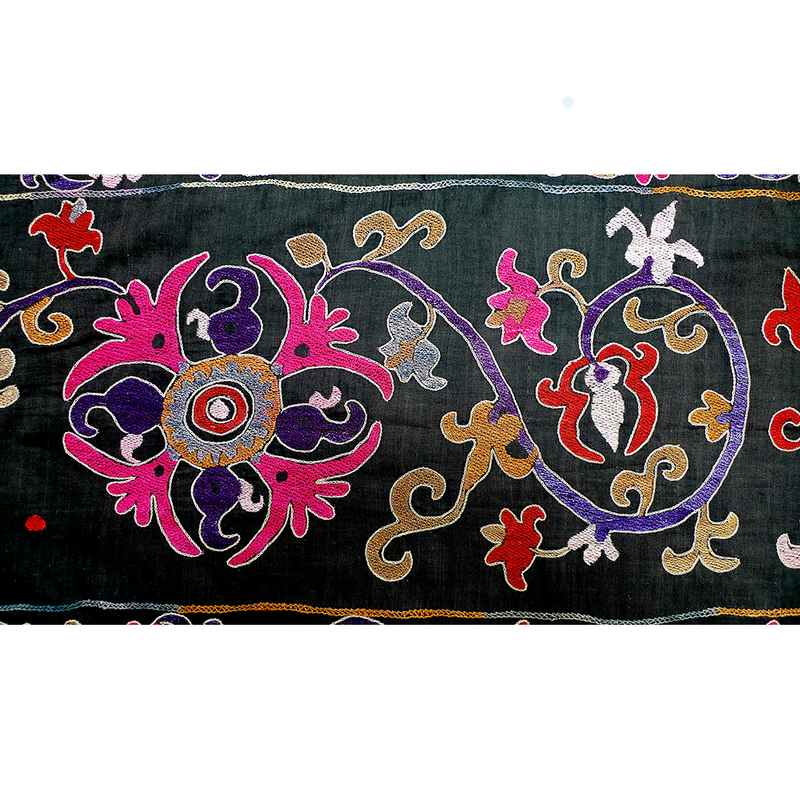 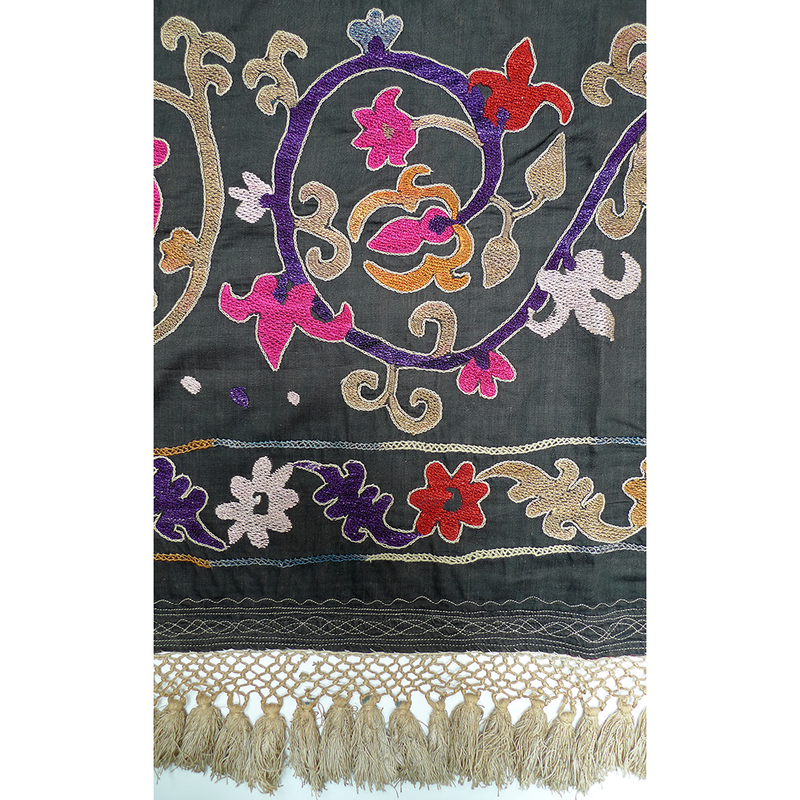 Often it was embroidered with words of good wishes or auspicious motifs. 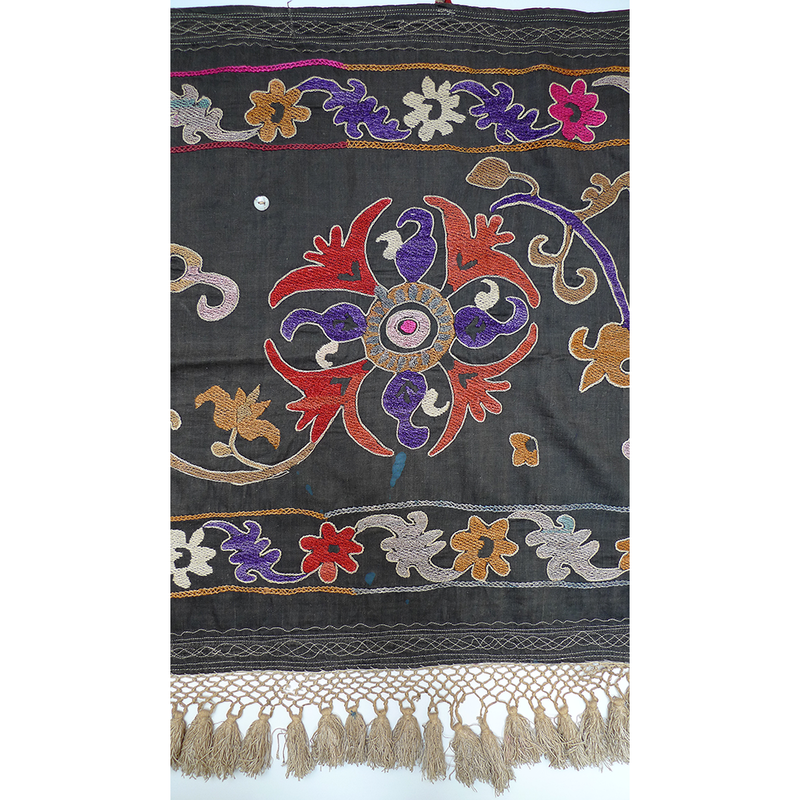 This piece has one old pearl button sewn in the center as an amulet to ward off evil spirits.